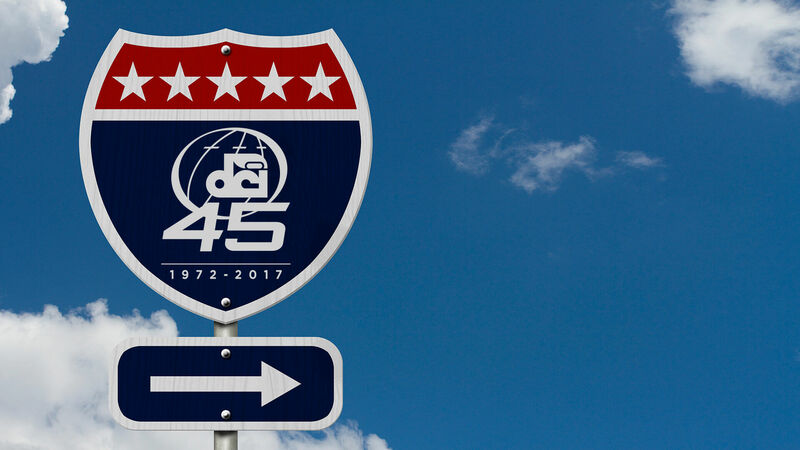 Drum Corps International will celebrate its 45th anniversary during the summer of 2017, as the world’s most elite marching music ensembles entertain thousands in football stadiums across the United States. Spanning 52 days from June into August, the 2017 Drum Corps International Tour will feature more than 55 corps competing across 110 competitive events in 37 states. 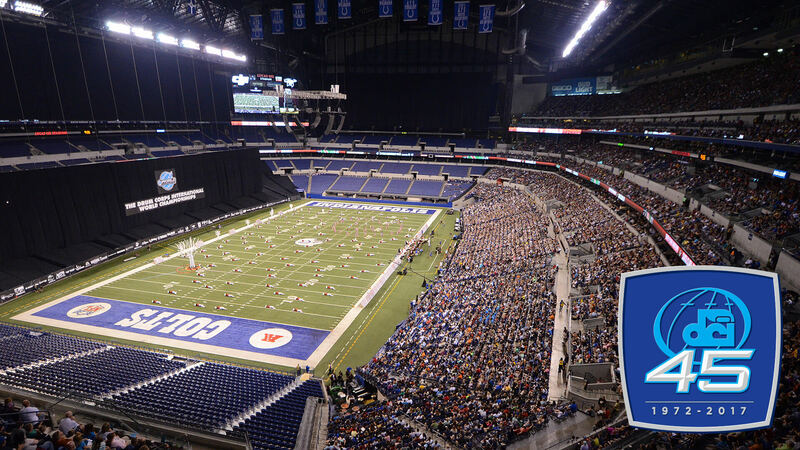 Long-time home of the DCI Finals, Lucas Oil Stadium will also host the DCI Tour Premiere on June 22. As has become tradition in recent years, the DCI Tour will begin in the very same place it will end more than seven weeks later at the DCI World Championship Finals. The “DCI Tour Premiere” will return to Lucas Oil Stadium in downtown Indianapolis on Thursday, June 22, kicking things off with a powerhouse lineup of World Class corps, including the 2016 DCI World Champion Bluecoats. For those unable to make it to Indianapolis, the season-opening event is once again expected to be broadcast live in movie theaters nationwide. A day later, West Coast corps will get to present their first competitive performances of the season in Clovis, California. 2017’s California tour stops will be anchored by events at Stanford Stadium on Sunday, June 25, and in Southern California at iconic Rose Bowl Stadium the following weekend. Pacific corps will welcome Rockford, Illinois’ Phantom Regiment to the Golden State in June and July. Traveling west more than any other Midwestern corps in the past decade, Phantom Regiment last started its season in California in 2015. TCF Bank Stadium in Minneapolis will host a lineup of 16 corps on July 8. DCI corps will return to Florida early in July, with two events scheduled for Orlando on Saturday, July 8 and Southern Florida on Monday, July 10. 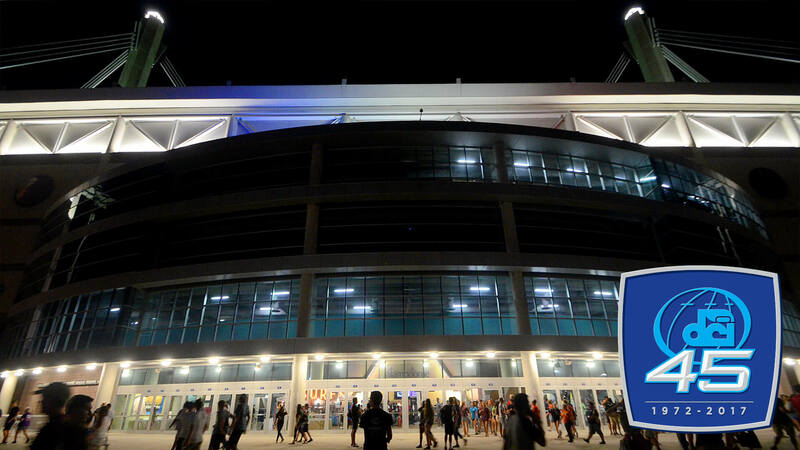 The Orlando competition will head to Camping World Stadium, which has undergone a name change and dramatic renovations since the venue last hosted the DCI World Championships in 2003. The second Florida event will be held at a soon-to-be-announced stadium. Joining the lineup of corps headed south for both of these events, the Cavaliers will make their first appearance in Florida in the last five years, along with Dubuque, Iowa’s Colts, who will be making their first visit to the Sunshine State since 2010. 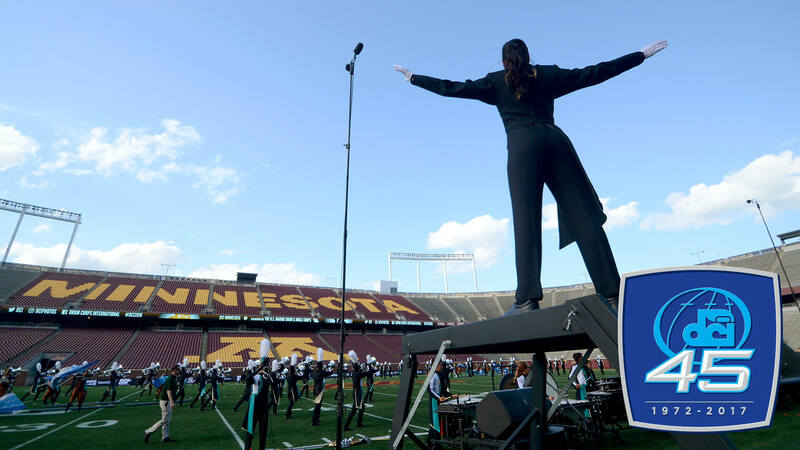 West Coast corps including the Santa Clara Vanguard and Academy will see some of their first action in the Midwest when the DCI Tour returns to the University of Minnesota’s TCF Bank Stadium on Saturday, July 8. Among the corps in the Minneapolis lineup will be Austin, Texas’ Genesis, an Open Class corps that has petitioned to participate in DCI’s World Class in 2017. After touring Florida in 2016, the Bluecoats will also return to Minneapolis on July 8, before making their way west for the July 15 Drums Along the Rockies competition at the home of the NFL’s Denver Broncos. With corps spread out across the country, July 15 will also bring groups to DeKalb, Illinois for the first Tour of Champions series event, in addition to Alexandria, Kentucky. Drum corps fans in and around Texas will see the DCI Tour march into their state with two events on Thursday, July 20 in Belton and the Dallas area. A stop in the Houston area on Friday, July 21 will set up a return of DCI’s World Class corps to the San Antonio Alamodome on Saturday, July 22. Coming out of Texas, corps will see action in Arkansas and Mississippi with a new event and venue still to be announced in Alabama on Friday, July 28. 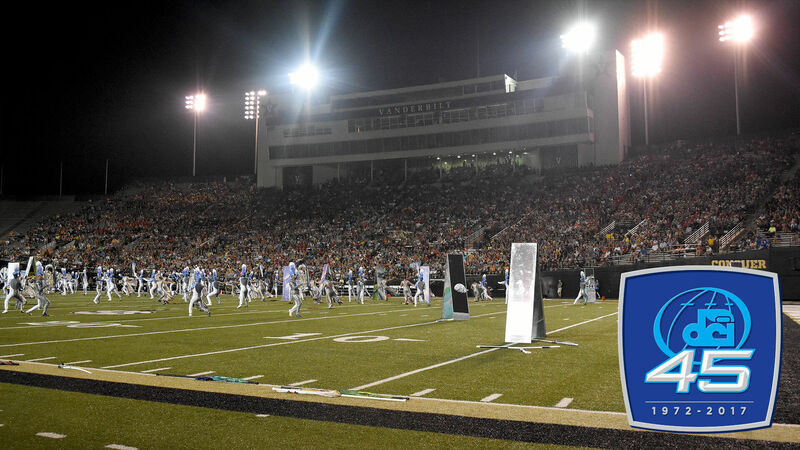 This will be the same night another group of corps heads to Vanderbilt University in Nashville for the annual Masters of the Summer Music Games. With the Georgia Dome on its farewell tour and set to be closed in the first few months of 2017 to make way for a new stadium, a minor shakeup in the DCI Tour is expected for the final weekend of July splitting corps between events in Atlanta and Winston-Salem, North Carolina. “We now know for certain that the brand new Mercedes Benz Stadium will not quite be ready for us to use for the 2017 DCI Southeastern Championship,” said DCI Senior Director of Events Development Susan Kuehnhold. “We are currently finalizing details with McEachern High School in Powder Springs, Georgia as the temporary home for the event on Saturday, July 29. This Atlanta-area lineup will be slightly abbreviated with the balance of corps headed to Winston-Salem for an enhanced Tour of Champions series event on Sunday, July 30." The last weekend of the regular season will showcase DCI’s entire complement of World Class corps at the venerable J. Birney Crum Stadium in Allentown, Pennsylvania, split over two days of competition on Friday, August 4 and Saturday, August 5. 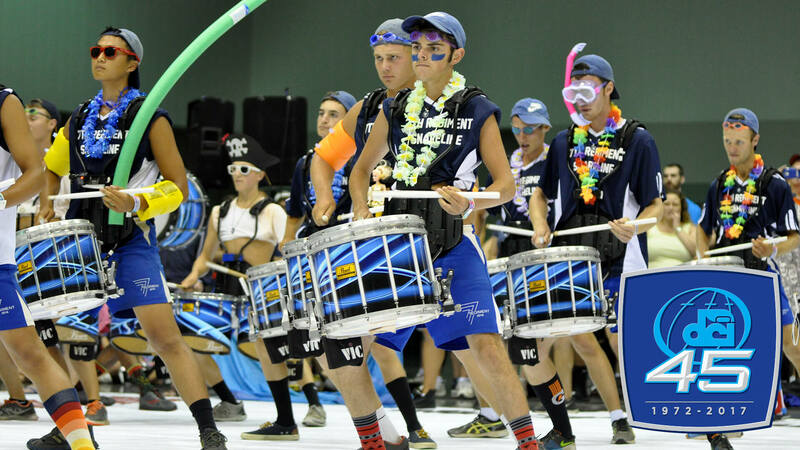 Buy tickets to both nights of the DCI Eastern Classic. Serving as waypoints between these Premier Events will be the bulk of the 2017 DCI Tour schedule. 2017 will mark the 10th year that World Championship events have kicked off in Michigan City, Indiana. 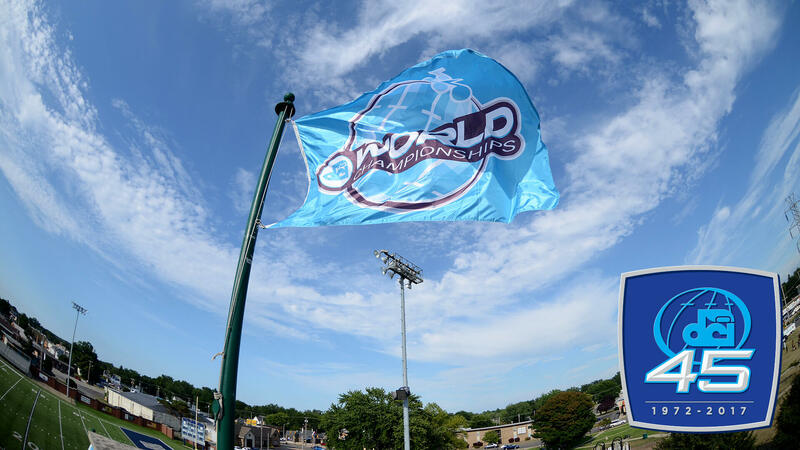 This summer, Open Class corps will celebrate the 10th year of kicking off World Championships Week events in Michigan City, as they march into Ames Field for Prelims and Finals competitions on Monday, August 7 and Tuesday, August 8. Returning to the DCI Tour as an Open Class corps in 2015 after a brief hiatus, look for Mobile, Alabama’s Southwind to attend the DCI World Championships for the first time since 2007. Also unique to the Michigan City lineup will be an appearance by The Company, a British ensemble that will spend two weeks in the U.S. competing as part of the DCI Tour in the International Class division. The action heads south to downtown Indianapolis beginning Wednesday, August 9, when the DCI Performers Showcase presented by System Blue features individuals and ensembles outdoors on Georgia Street, as well as at the iconic Indianapolis Artsgarden and the Indiana Convention Center. 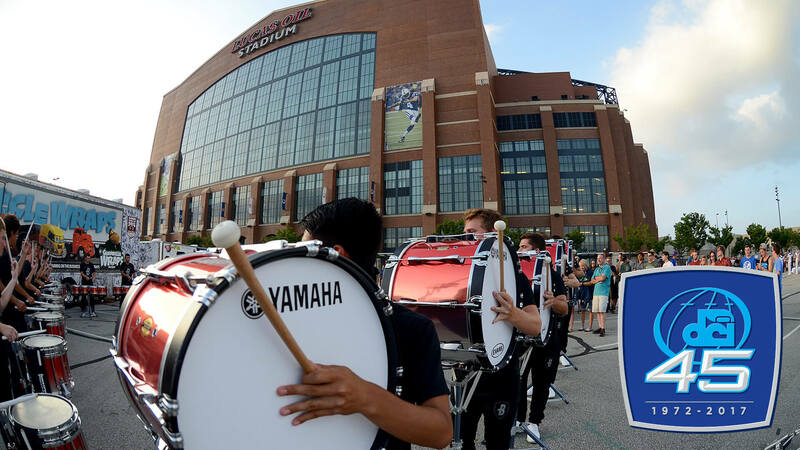 Open and World Class corps will square off when the action moves under the roof of Lucas Oil Stadium for the Prelims competition on Thursday, August 10. 2017 will be the ninth straight year corps have performed at Lucas Oil Stadium, more than any other venue in the history of the DCI World Championships. The top 25 corps will advance to the Semifinals competition on Friday, August 11, which will conclude with a very special performance by a group of Santa Clara Vanguard alumni in celebration of the organization’s 50th anniversary. The top-12 advancing corps from Friday night will vie for the title of World Champion on Saturday evening, August 12. DrumLine Battle will be part of the SoundSport International Music and Food Festival on August 12. Complementing a number of high-profile DCI Tour events will be Drum Corps International’s SoundSport and DrumLine Battle programs. The wildly popular competitive musical showcases provide a stage for an exciting variety of performance ensembles, along with traditional upstart and reemerging drum corps that include local, independent and international groups. In addition to a series of ongoing events produced around the world throughout the year, this summer's North American SoundSport and Drumline Battle schedule will feature more events than ever before, with stops in Florida, Kentucky, Texas, Georgia and Pennsylvania, before wrapping up on Saturday, August 12 with the second-annual SoundSport International Music and Food Festival in downtown Indianapolis. Learn more about the 2017 SoundSport schedule of summertime events. Starting Monday, December 5, tickets to more than 30 of the most popular events of the 2017 DCI Tour will go on sale through the DCI Box Office and Ticketmaster, including single-day tickets to the 2017 DCI World Championships. Sign up for Drum Corps International’s "Box Office Alerts" to receive email notification when tickets to 2017 events near you will be going on sale throughout the winter months. A huge lineup of corps will converge deep in the heart of Texas at the Alamodome on July 22. Presented by DeMoulin Bros. and Co. Presented by Fred J. Miller, Inc.
Allentown, PA Buy two-night ticket packages today! Vanderbilt University in downtown Nashville will host a Tour of Champions series event on July 28. World and Open Class corps will compete head to head beginning August 10 at Lucas Oil Stadium.